Capturing the magic of Christmas, Elie Saab has decorated the iconic bottle of his first fragrance with precious details: the neck is discreetly set and shaded with subtle gold, giving the bottle refinement and adding to its rarity. To echo the limited edition bottle, the perfectionist Couturier has designed a satiny gold box decorated with a white rectangle whose purity adds a subtle contrast. Nestled inside the flamboyant flacon is the Couturier's very first fragrance, the Eau de Parfum, whose composition remains unchanged: From the very first notes, the dazzling burst of Orange Blossom sets the tone. Magnified in the middle notes by sumptuous Royal and Sambac Jasmine Absolutes, the fragrance is sensually enhanced with a gentle hint of pure “heart of Patchouli”. The tone of the white floral bouquet intensifies voluptuously in the bottom notes with a Woody Cedar accord, which enhances the floral echoes with new density. The trail unfolds, infinitely elegant and enveloping, adding Honey Rose to its array of addictive notes. 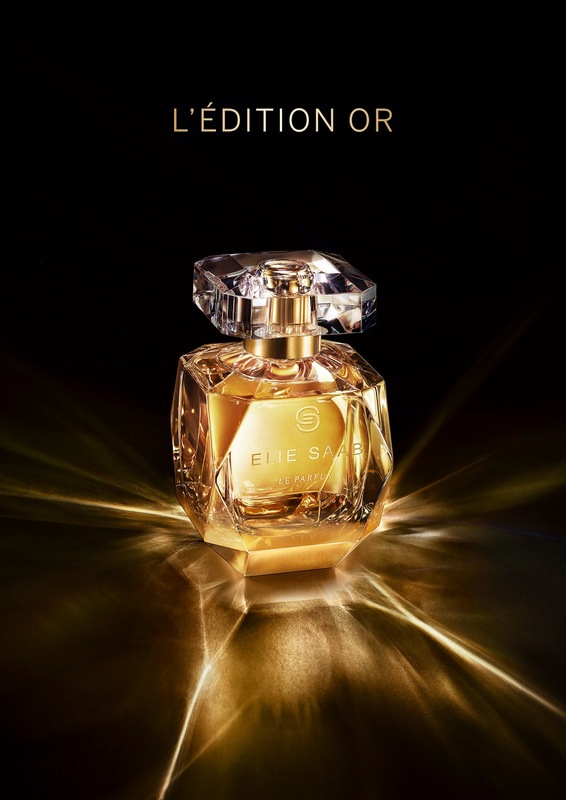 Make sure to keep visiting ELIE SAAB's EMag The Light of Now and stay tuned for a wonderful surprise competition coming for you next week !